I don't know if you know but I'm a teacher. I started by teaching Sunday School. I was also a preschool teacher ten years ago. Today, I may be a magazine editor but I still teach my staff (and other magazine staff!) about making a magazine. It comes very naturally to me, teaching. I like getting knowledge and I like sharing it as well. And I've been blessed that some people have actually called me their mentor. That's such a big role and to be called one is amazing! 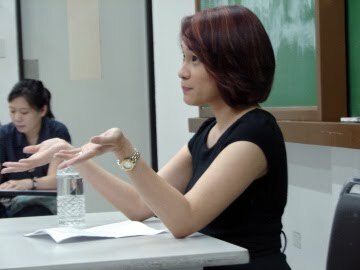 So when Theodore P, a DLSU student, requested that I visit their college class and give a talk about the celebrity magazine industry, I was excited. And nervous. Well, part of the jitters came from looking blotchy because of an allergic reaction to an acne treatment facial I had a few days before the talk, but I was nervous because I haven't been in a classroom as a teacher for so many years. Thankfully, the allergy subsided the day before my talk. When I entered the classroom and everyone started taking their seats, I felt a tad more comfortable. But it was when there were a few latecomers that burst in—this is a pet peeve!—the old Teacher Frances snapped back and I was in business. I had a lot of fun at my talk. Theodore warned me that their professor can be intimidating and will grill me about magazines. I assured him I'd be fine; she may be teaching it but I'm living it. And at the talk, their professor was such a sweetheart! She and her class asked a lot of very good questions. They were difficult questions, too (I love difficult questions! ), which says a lot about their level of interest and intelligence. I could've gone on and on and on but, alas, we only had an hour and a half. Well, I found the experience so invigorating that I really don't mind doing it again! It's so lovely to be surrounded by young people. They're so beautiful and they don't even know it. Remember when I said that my hubby says I can still be mistaken for a college student? I used to believe him until I actually saw hundreds of college students at the DLSU campus. They're so young and perfect—the bright eyes, the taut skin, the shiny hair, the swift grace of limbs, the refreshing unsophistication and (I envy most of all), the flat tummies! If you're a student (or a teacher) and would like to have me over and talk to your class, drop me an email! If I have time, I'd be glad to go. To Theodore, Bianca and Pau, thank you for inviting me to your class. I really enjoyed myself and I'm glad your class had fun, too. I wish we had more time, though! I'll keep an eye on you three—I have a feeling you'll be big names in the media one day! Back in college, having guests who are media practitioners was was lovely treat. It's true when you said "living it." There was a big difference with teaching it and being the one who does it everyday. Kudos to your day as a teacher! :) And I'm pretty sure your audience enjoyed your talk as well. About the tummy part-- you're so slim naman a.
I wish you visited my class back then, Frances. You're very inspiring & fun at the same time! 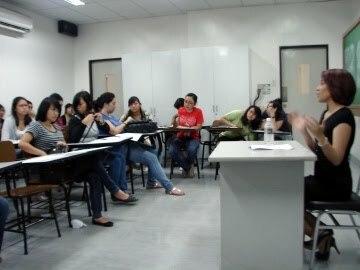 I'm sure it all came naturally once you were in that classroom :) Galing!